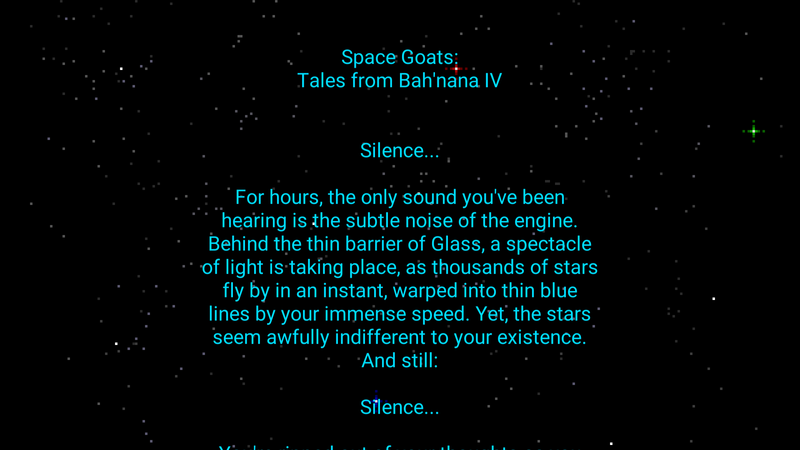 You're a Space Goat who crashes on the alien planet of Bah'nana IV. Will you escape? 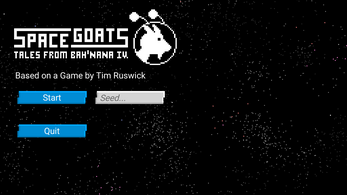 This game is a college project I based on Tim Ruswick's Space Goats 2. 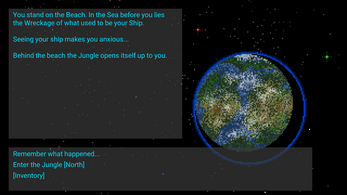 It's a text-adventure with a procedually generated world. English is not my first language so I'm sorry for any spelling/grammar errors. 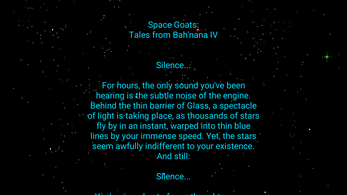 Didn't have too much time so the story was cut a bit short, but I'm proud of the atmosphere. 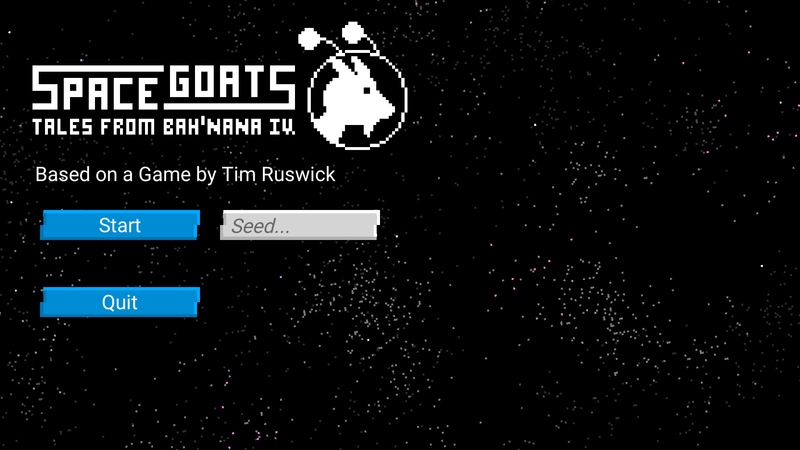 Special Thanks to Tim Ruswick for letting me use his IP! Check out his new Game Philophobia!